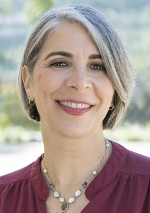 Abigail Goldberg Spiegel has been Executive Director since the spring of 2004, having joined the Leo Baeck Temple staff, as Program Director, in September 2002. She is responsible for the daily management of the temple’s operations and facilities. She serves as an ex-officio member of the Temple Board and Executive Committee and she staffs various temple committees including the Membership Committee, Finance Committee, Budget Committee, Endowment Committee, Communications, and the House and Grounds Committee. Abigail is a graduate of Mount Holyoke College. She is currently President of the National Association for Temple Administration (NATA), having served as a member of the NATA National Board, and Vice President, overseeing Education. She is also a Past President of the Professional Association of Temple Administrators (PATA). Married to Adam Spiegel, they have four children, Sydney, Maxwell, Sascha, and Harry. 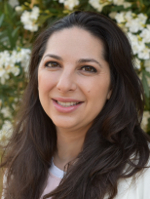 Brianne Naiman joined Leo Baeck Temple as the Early Childhood Center’s Director in 2018. Her career path is defined by her tremendous love of young children, her long record of creativity and innovation, and her deep professional knowledge of all aspects of early childhood education. Brianne holds a BFA from California College of the Arts, where she studied illustration and education, a Masters in Early Childhood Education from Pacific Oaks, a Program Director Permit, and is a certified Outdoor Classroom Specialist. She has been a California State Mentor Teacher since 2016 and was recognized in 2017 with LAUP’s Educator of the Year Award. Prior to joining LBT she taught at several local Jewish preschools culminating in her service as the curriculum specialist at the Mann Family Early Childhood Center of Wilshire Boulevard Temple. Part of Brianne’s continued passion is to ensure that children have the opportunity to be part of a community of learners that include parents, children, and educators; where curriculum is developed based on the interest of the students and infused with Jewish values and traditions. Brianne grew up in Los Angeles and has fond memories of her own Jewish upbringing. She enjoys hiking, painting, and traveling.